BlogHome News Tips Beware of the Ice Dam! Ice Dams Can Lead to Serious Water Damage in Your Home! Did you know that ice dams can form when water from melting snow re-freezes at the edge of your roofline? Being aware of ice dam formations can help you prevent serious water damage inside your home. 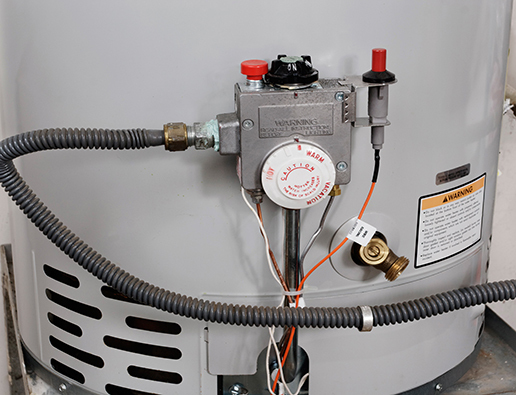 Follow these tips to help keep your home leak-free this winter. 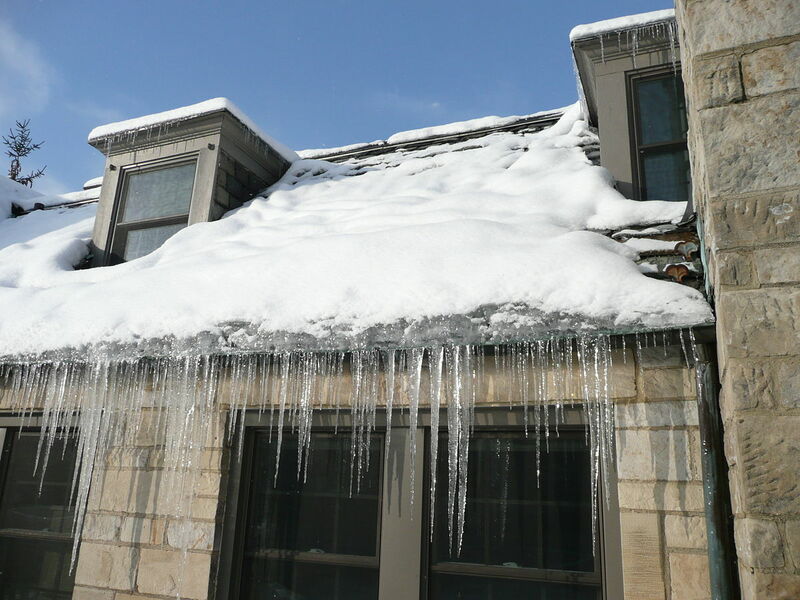 An ice dam can form when water from melting snow re-freezes at the edge of your roofline. Without roof snow removal, the ice dam may grow large enough to prevent water from draining off the roof. Heat from the interior of the home can warm the roof causing the snow to melt. 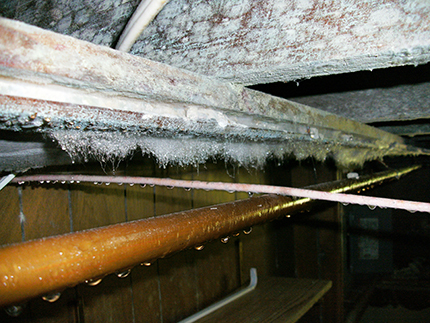 With nowhere to drain, the water can then back up underneath the roof shingles and make its way inside your home. Remove snow from your roof after every storm. Use a roof rake to clear the first three to four feet of snow from your roof immediately after each winter storm to prevent ice dams from forming. While the amount of snow and ice that your roof can handle may vary depending on a number of factors such as the roof type, age, and condition of the structure, a good rule of thumb is if there is more than a foot of heavy, wet snow and ice on your roof, you should try to have it removed. Insulate your attic. Make sure your attic is well insulated to help prevent the melting-and-freezing cycle that causes ice dams to form. Check and seal places where warm air could leak from your house to the attic, including vent pipes, exhaust fans, chimneys, attic hatches and light fixtures. However, make sure not to cover the soffit vents. This is important because ventilation is necessary and if the vents are covered you risk the chance of microbial growth/mold. previous post: Forget to Turn Off Your Stove?